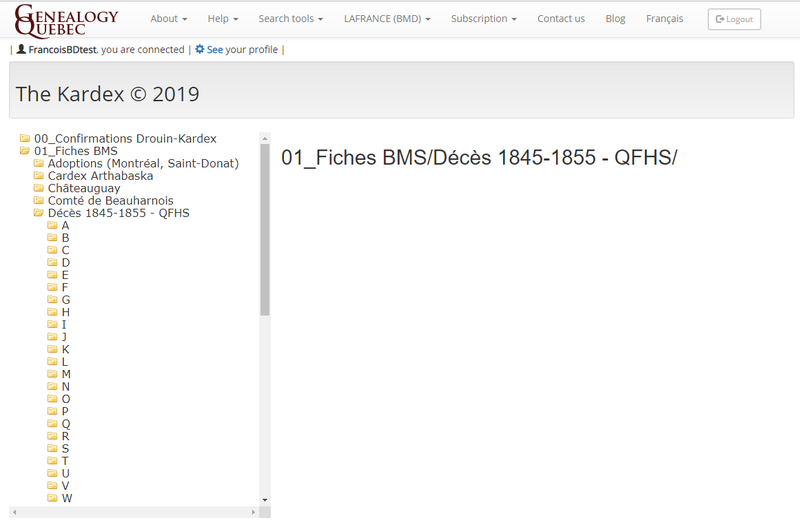 We are happy to announce that we have completed the addition of ALL of Quebec’s Catholic baptisms and burials from the 1850-1861 period to the LAFRANCE. This project, which debuted in 2015, represents the addition of some 652 502 baptism and burial records from 422 different parishes. 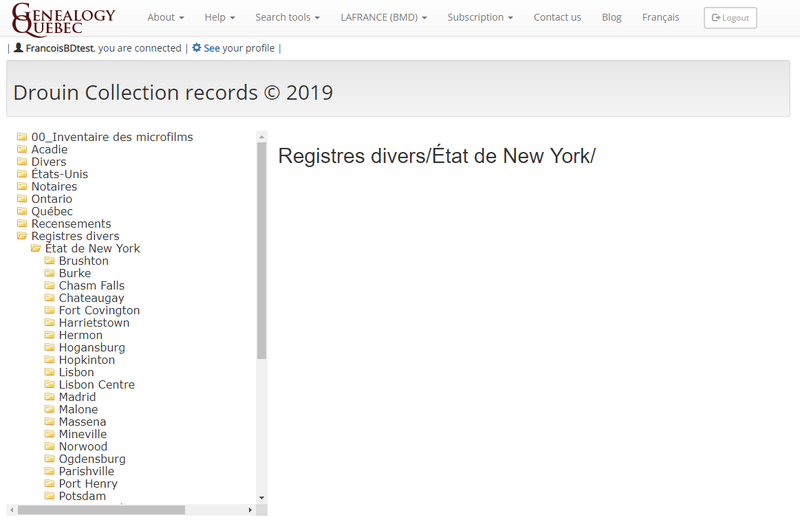 For a grand total of 3 755 659 parish records from the province of Quebec. 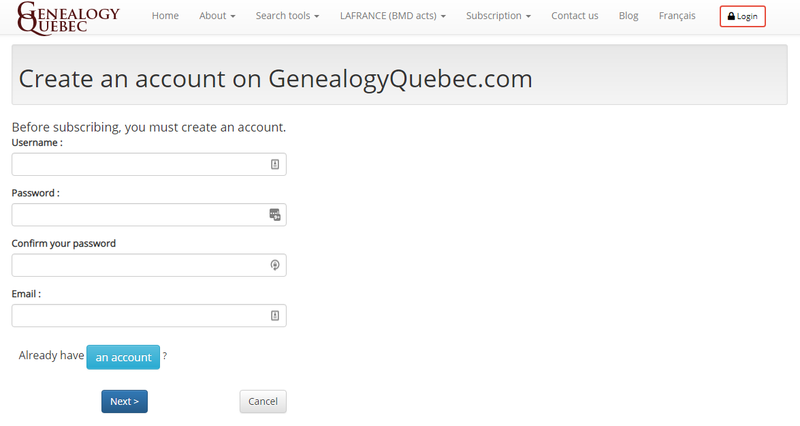 You can use the LAFRANCE with a subscription to Genealogy Quebec at this address. For more information about the LAFRANCE as well as research tips, take a look at this article on our blog. The development of the LAFRANCE continues! Our focus will now be on the indexation of every Ontarian and Acadian parish register available in the Drouin Collection, as well as all of Quebec’s Protestant baptism and burial records from 1760 to 1861. Protestant marriages from the 1850 – 1861 period will also be indexed. The indexing of Quebec’s Catholic baptisms and burials is therefore temporarily put on hold, but we will come back to it as soon as possible! We intend to index all of Quebec’s parish registers up to 1940, at a pace which will be dictated by our financial and human resources. 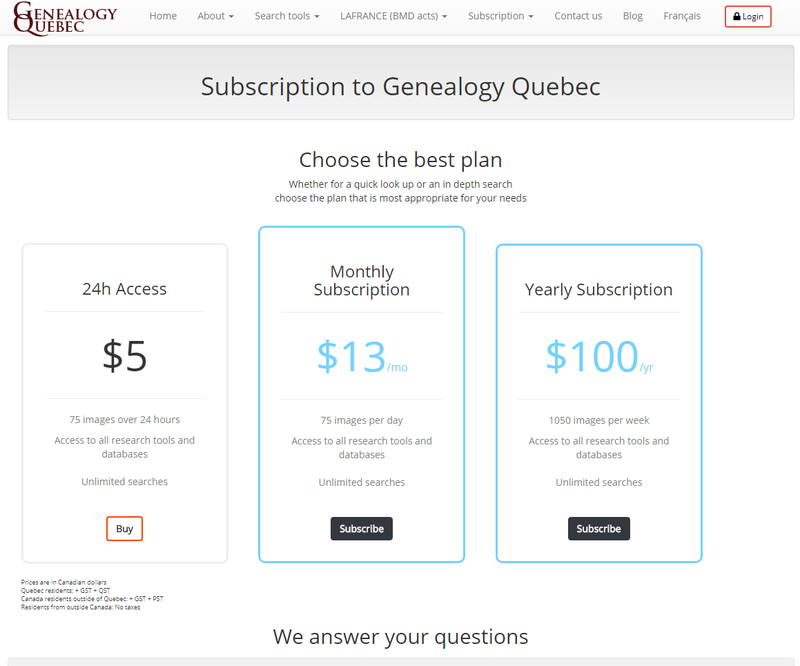 This massive task is entirely funded by the revenues generated from Genealogy Quebec and PRDH-IGD.com subscriptions. We would like to thank you for the trust you place in us, without which we wouldn’t be able to preserve and share Quebec’s genealogical and historical heritage. 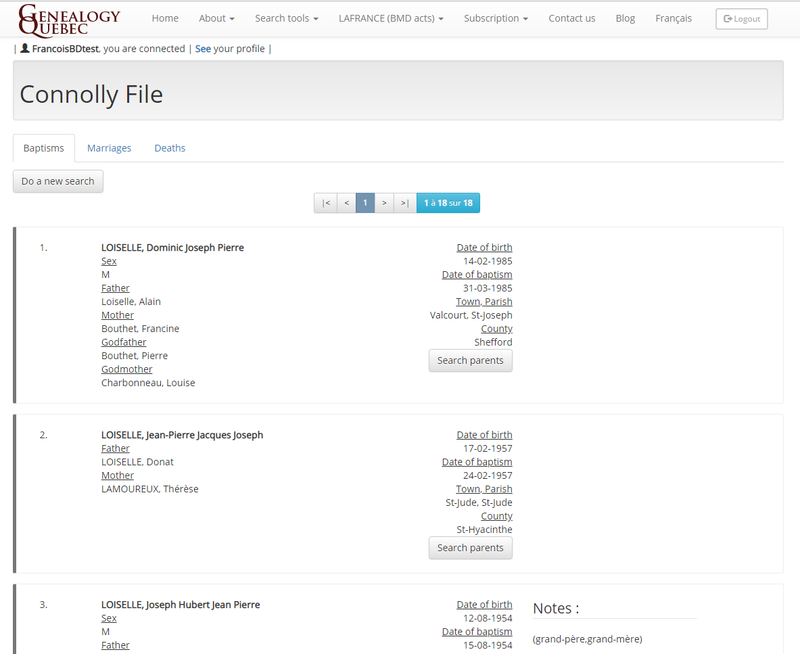 The Connolly File, one of 16 tools available to Genealogy Quebec subscribers, has been updated. A total of 46 444 baptism, marriage and burial files have been added to this collection. 105 corrections suggested by our users were also applied. What is the Connolly File? The Connolly File is an index of Catholic and Protestant baptisms, marriages and burials from Quebec and part of the United States covering a period extending from 1621 to 2018. In total, the tool contains 6 500 000 baptism, marriage and burial files. You will find more information about this collection as well as some research tips and best practices in this article. Here is the list of regions and parishes affected by this update, which includes the number of records added and the years they cover. You can browse these new documents with a subscription to Genealogy Quebec on the Connolly File at this address. The Online obituary section, available for free at this address, has just hit over 2 300 000 death notices! This section contains Canadian death notices published online between 1999 and today and is updated regularly. 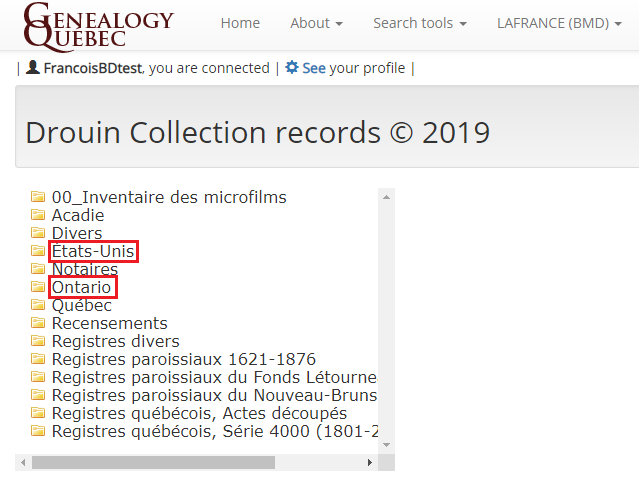 More updates to Genealogy Quebec‘s tools and collections! You will find the details of the most recent additions to the website in this newsletter. 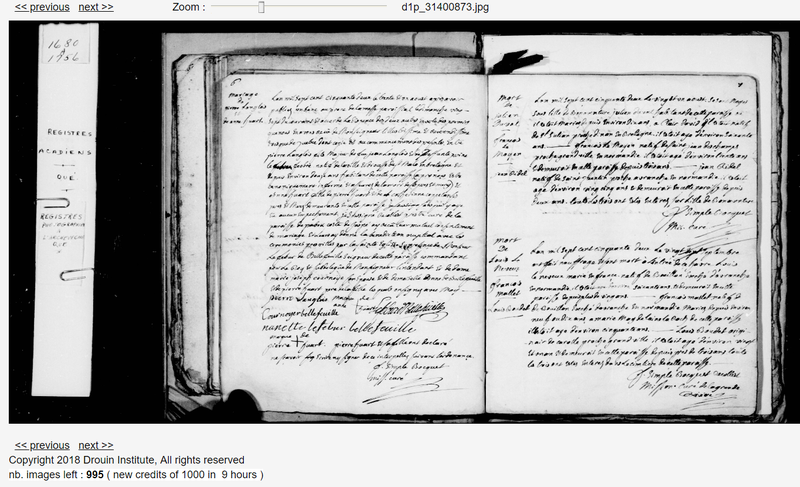 11 000 images of parish registers from the state of New York have been added to Genealogy Quebec. You will find these images in the Drouin Collection Records, under the “Registres divers” folder. The records cover a period stretching from the early 19th century to 1915. Note that the records can be in English, French as well as Latin. 5000 death files have been added to the Kardex tool. You will find them under the “01_Fiches BMS” folder, sorted by the subject’s or the husband’s last name. Most of these files are from between 1845 and 1855 and pertain to individuals of Protestant and Catholic faith who lived in or near Quebec. The QFHS (Quebec Family History Society) is a genealogical society located in Ste-Anne-de-Bellevue, Quebec. It offers many resources as well as courses, conferences and seminars. You will find more information on their website. 1000 images from the Consulat général de France de Montréal et de Québecare now available in the Drouin Collection Records, under the “Registres divers/Québec” folder. 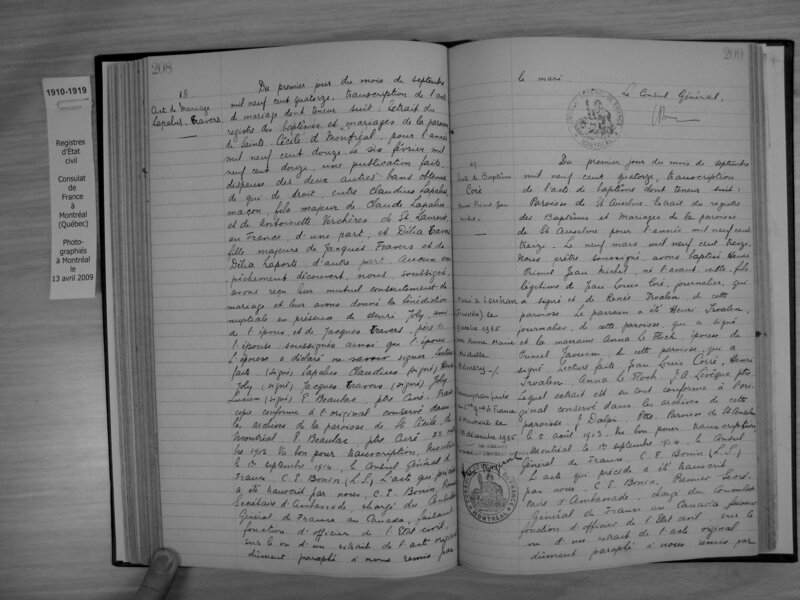 These images contain civil records recorded at the consulate between 1859 and 1935 and pertain to French nationals residing in Canada. Most of the records in these registers are transcripts of vital events recorded in churches and other places of worship in Canada. You can browse these new documents as well as 44 million images and files by subscribing to Genealogy Quebec today! An update has been applied to the LAFRANCE in early February. This update pertains to the Catholic baptism and burial records recorded in the province of Quebec between 1850 and 1861. The corrections suggested by our subscribers over the past month have also been applied. 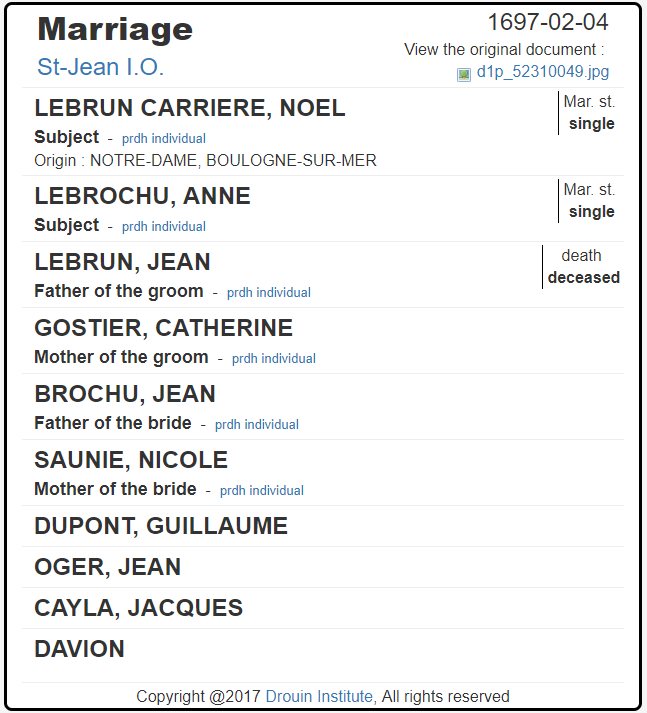 The LAFRANCE, one of 16 tools available to GenealogyQuebec.com subscribers, is a detailed index with link to the original document of ALL Catholic marriages celebrated in Quebec between 1621 and 1917, ALL Catholic baptisms and burials celebrated in Quebec between 1621 and 1849 as well as ALL Protestant marriages celebrated in Quebec between 1760 and 1849. Baptisms and burials from the 1850-1861 period are added gradually through bimonthly updates. 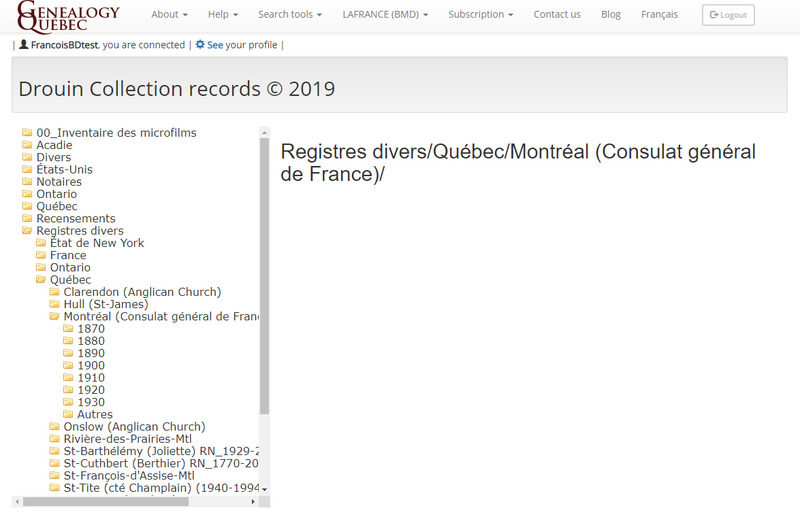 Only 2 parishes remain to be added to the LAFRANCE in order to complete the addition of every Catholic baptism and burial recorded in Quebec up until 1861. Namely, the Ste-Marthe parish as well as the baptisms and burials of the year 1861 for the Notre-Dame Basilica in Montreal. 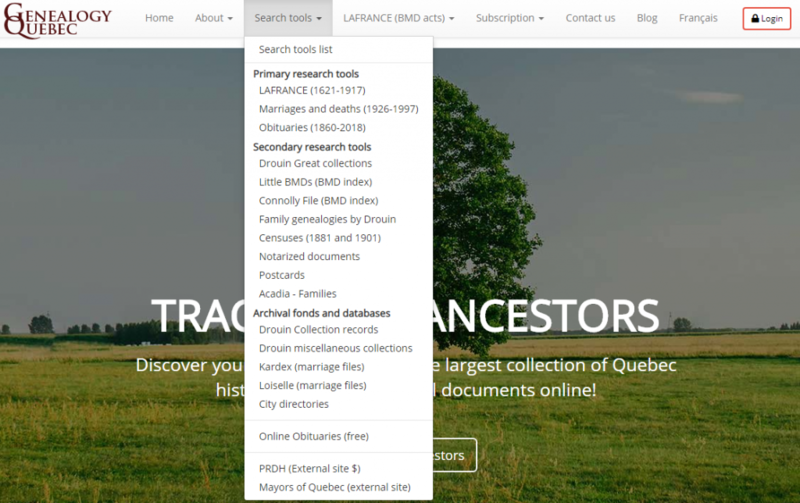 You can use the LAFRANCE and find your ancestors by subscribing to Genealogy Quebec right now! 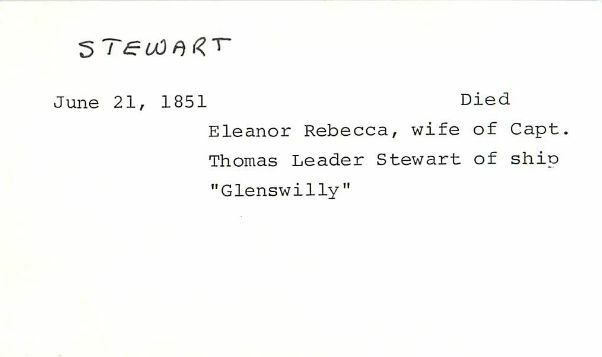 More new content on GenealogyQuebec.com! This time, we’ve added over 130 000 marriages to the NBMDS tool. 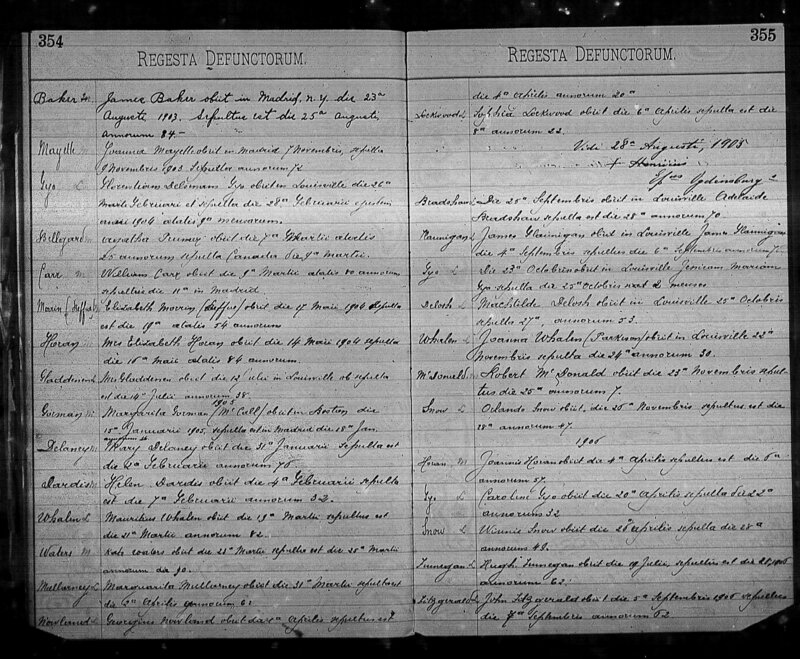 These marriages were transferred from the Planète Généalogie website. 83 000 marriages from various Ontario parishes have been added to the NBMDS database. These marriages were recorded between the 17th century and the end of the 20th century. Around 53 000 marriages from New England were also added to the NBMDS tool. What is the NBMDS tool? The NBMDS tool contains baptism, marriage and burial files created from the original document recorded in church. Originally, the tool extended from 1727 to 2011 and covered the Laurentians, the Outaouais and Bas-St-Laurent regions as well as the city of St-Hubert. We are now extending the period and regions covered to include parts of Ontario and the United States. The NBMDS is equipped with a multiple field search engine. As with most of our tools, we recommend that you limit your initial search to only a few fields; a family name and the year of the event. If this produces too many results to navigate through, a first name or a second family name should be added. You may browse the NBMDS tool with a subscription to Genealogy Quebec at this address. 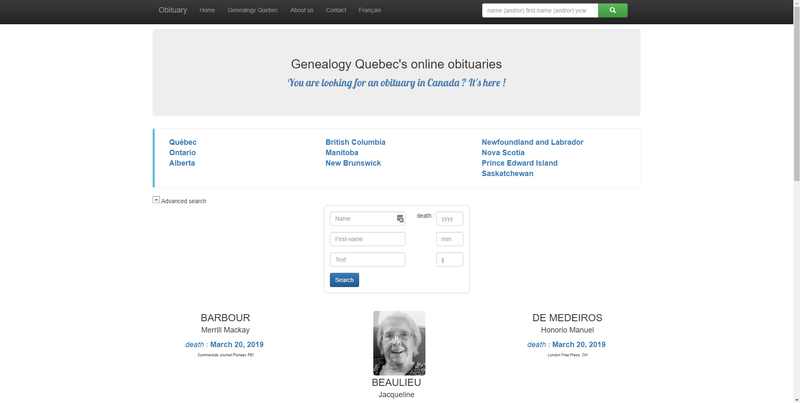 Even though Genealogy Quebec primarily focuses on Quebec genealogy, the website offers multiple collections from Ontario and the United States. You will find various documents from the United States and Ontario in the Drouin Collection Records, under the “États-Unis” and “Ontario” folders. These documents are mostly Catholic parish registers but you will also find some newspapers and other bits of historically relevant publications. The 1881 Ontario census is available on Genealogy Quebec. If you are subscribed to the website, you may browse it here. 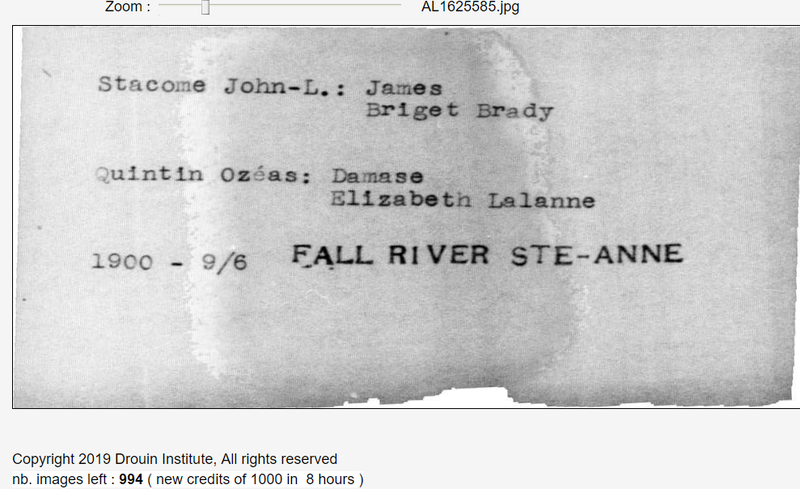 The Antonin-Loiselle File is an index of marriage files from Quebec but also from the United States, specifically Fall River, MA and Manchester, NH. Genealogy Quebec subscribers may browse this collection at this address. Finally, you will find various documents pertaining to Ontario and the United States in the Drouin Great Collections, the Kardex, and the Obituary section. What’s new on the Drouin Institute blog? The year 2018 was a busy one for the Drouin team, with the addition of more than a million images and files to Genealogy Quebec as well as the publication of numerous blog posts related to Quebec genealogy. Here is a retrospective of the last year. A massive update was applied to PRDH-IGD.com, which doubled the total amount of individuals in the database. The development of the LAFRANCE continued in 2018 with the addition of tens of thousands of Catholic baptisms and burials from the 1850s, as well as all Catholic marriages celebrated in Quebec in 1917. We started 2018 with the addition of a new collection, the City directories tool. 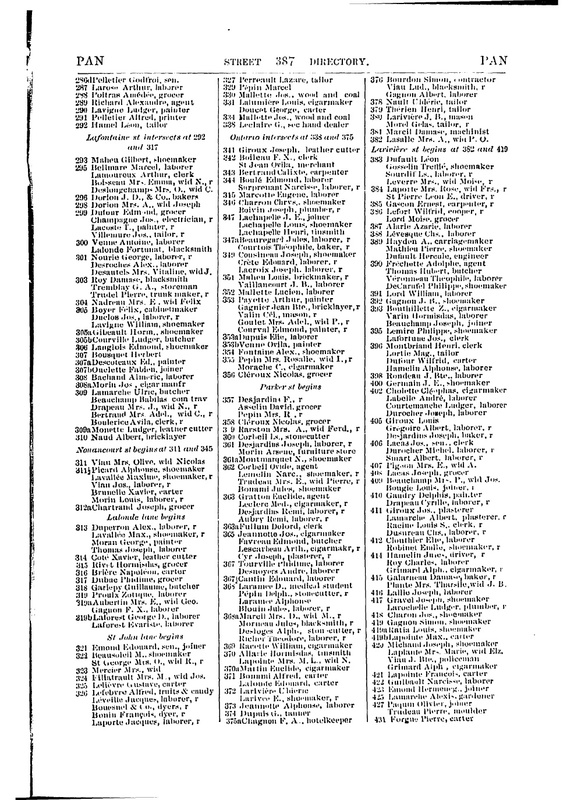 This tool contains the Marcotte directory of the city of Quebec, and Lovell directory of the city of Montreal from the 1840s to the beginning of the 20th century. This tool contains family files based on the original parish records of Acadia and covers from 1621 to 1849. In 2018, the amount of files and individuals contained in the database doubled. 34 775 baptism, marriage and burial files were added to the Kardex tool this year. The Kardex is a directory of files that mostly pertain to Catholic and Protestant marriages as well as notarized contracts. The files cover from 1621 to 1950 for Quebec, Ontario and a small part of the United States. The Internet obituary section is updated weekly. In 2018, nearly 200 000 obituaries were added to the collection. 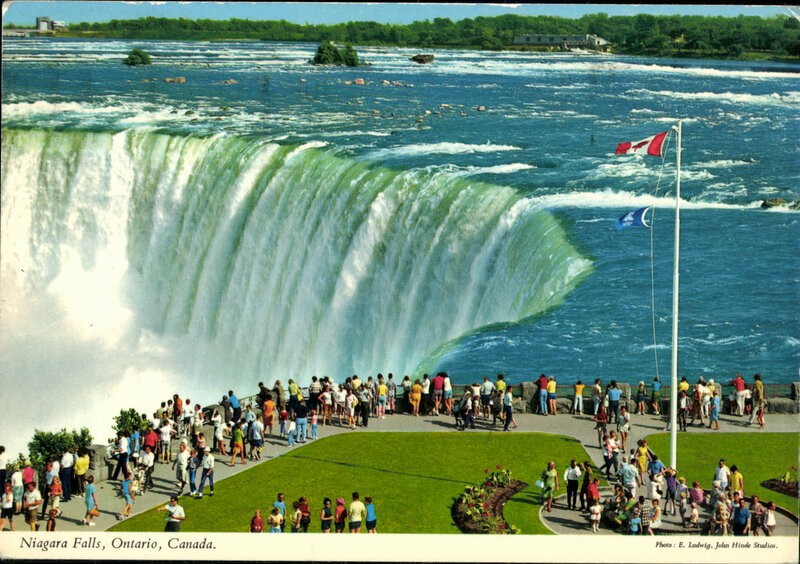 This collection of 256 000 postcards initially only contained the image of the back of the cards. The update applied in 2018 allowed us to add the front of the cards, doubling the number of images in the collection. 60 000 obituaries were added to the Newspaper obituaries section in 2018. This tool contains 664 000 death notices published in Quebec newspapers between 1945 and 2015. In addition, a search engine was added to the tool in order to make it more user-friendly. 2852 files produced by René Jetté during the creation of his famous “Dictionnaire Jetté” were added in file 19 – Dictionnaire Jetté. 2358 genealogical charts from the Planète Généalogie website were added in the file 24 – Lignées généalogiques. Addition of various legal documents related to, among other things, adoptions, estates and name changes. Can be found in the file 25 – Statuts de la province de Québec. Addition of 17 948 images from books and minutes from the cities of Victoriaville, St-Paul-de-Chester and St-Louis-de-Blandford. Can be found in the file 16 – Archives municipales. Browse all these collections – and more – by subscribing to Genealogy Quebec today! Our primary goal in 2019 is to continue and accelerate the development of our genealogical collections, but also to facilitate their use and make the GenealogyQuebec.com experience a more seamless one. It promises to be a very busy year! An update has been applied to the LAFRANCE in early December. This update pertains to the Catholic baptism and burial records celebrated in the province of Quebec between 1850 and 1861. The corrections suggested by our users over the past month have also been applied. Here is the list of parishes affected by this update. 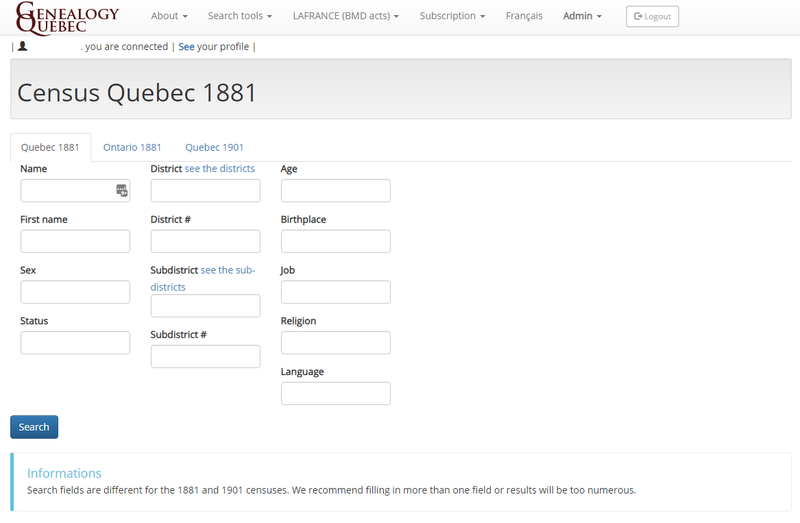 You can consult the LAFRANCE and find your ancestors by subscribing to Genealogy Quebec right now! The term Acadian is used to identify the descendants of the first French and European settlers established in Acadia during the New France era. Originally from west-central France, they settled starting in 1604 in an area comprising parts of the Maritime Provinces and Quebec, which is known today as Acadia. As is the case with French Canadian genealogy, Acadian genealogy is largely based on the parish records of the Catholic Church. Due to their French roots, a majority of Acadians were Catholic. 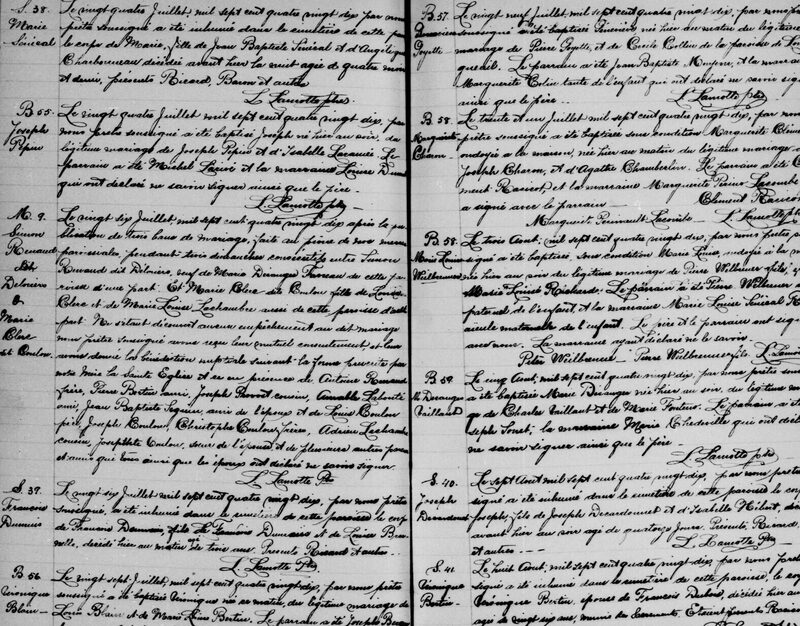 It is predominantly through baptism, marriage and burial records that we are able to trace the family history of the Acadians. Acadian genealogy is not as well documented as that of surrounding regions, which can be attributed to the disappearance of a large number of records and documents during the Great Upheaval. 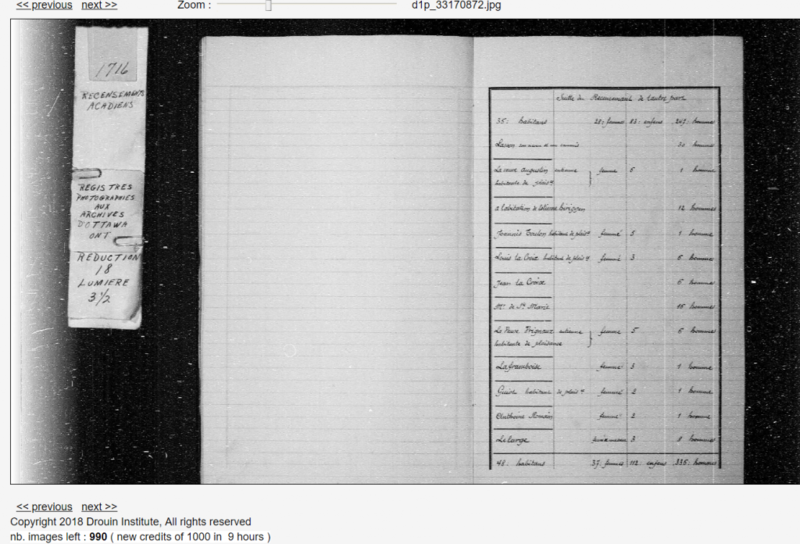 Nonetheless, there are several tools and databases related to Acadian genealogy available online. 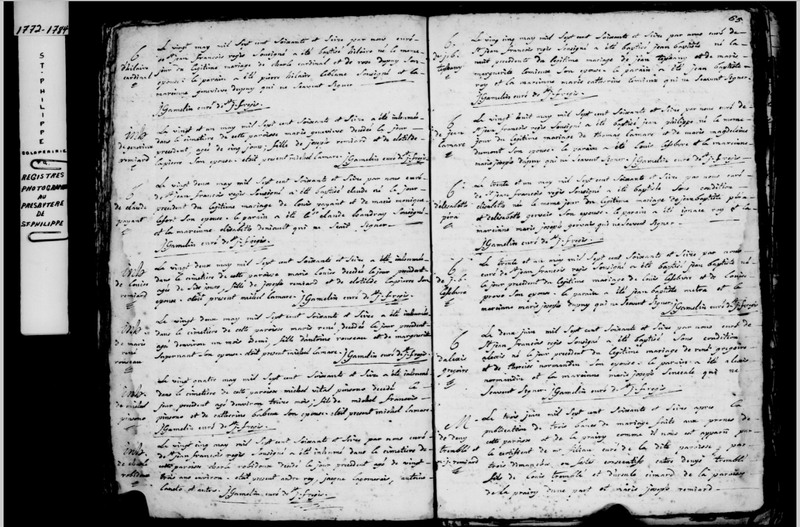 Genealogie-Acadienne.net contains a database of more than 750,000 individuals and 300,000 Acadian families that can be searched for free. The database contains the dates and places of birth, marriage and death of hundreds of thousands of Acadian descendants, and sometimes even photos of the individuals and the original records themselves. It is an excellent resource for finding Acadian ancestors and cousins. Acadian-Cajun.com, another great Acadian research website, offers a comprehensive list of resources pertaining to Acadian genealogy. It also contains Acadian censuses that can be consulted directly on the website. In addition, various family associations and websites dedicated to Acadian families, all classified by family name, are compiled here. GenealogyQuebec.com, the Drouin Instiute’s genealogical research website, offers two research tools dedicated to Acadian genealogy. The Drouin Collection records are a collection of parish registers (baptisms, marriages and burials) from Quebec, Acadia, as well as parts of Ontario, New Brunswick and the United States. Here we are focusing on the Acadian records. The years covered differ according to the register. The collection also contains Acadian censuses from 1673 to 1784. 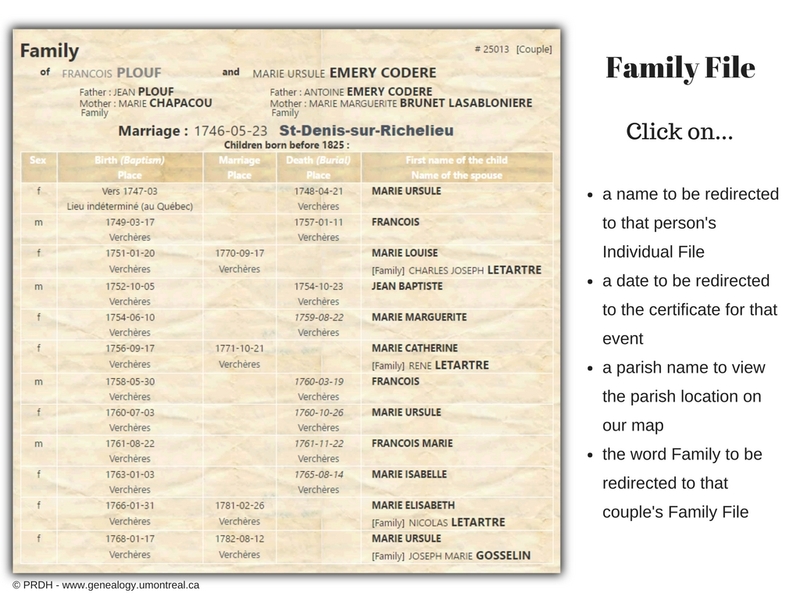 This tool contains family files based on the Acadian parish records mentioned above. In total, the tool contains 96 000 family files from 1621 to 1849 and is equipped with a search engine which allows searches by last name, first name, date and parish. In addition, the original records are attached to the family files, allowing the information contained in them to be viewed and verified. You will find more information about this tool at this address. 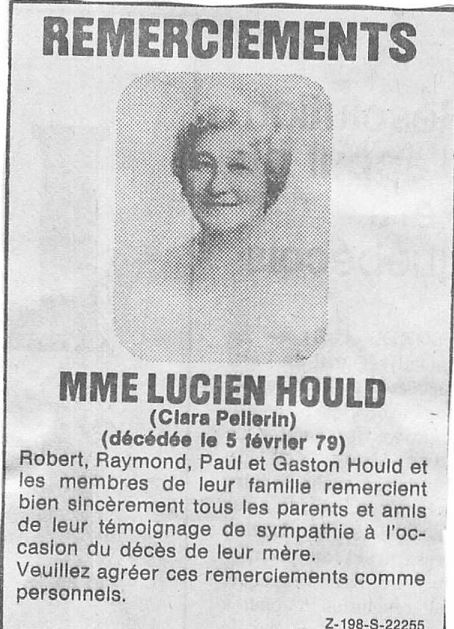 You will find more information about GenealogyQuebec.com in this article.